Lord, may this stone, a symbol of my efforts on the pilgrimage that I lay at the foot of the cross of the Saviour, one day weigh the balance in favor of my good deeds when the deeds of my life are judged. Let it be so. 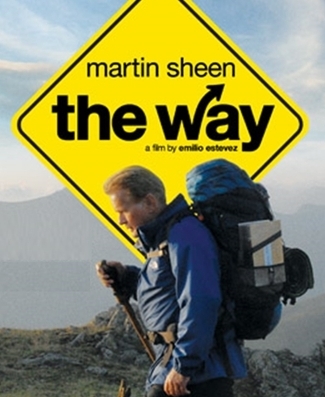 Last night Camilla and I finally got to see the Martin Sheen movie, The Way. I had been wanting to see this movie ever since my friend Steve Hackman posted his review on it six months ago. But since New Zealand exists on the edge of the cinematic galaxy, we had to wait. If you haven’t heard, The Way is the story about a doctor who travels to France to collect the body of his deceased son. The son died while walking the 500 mile long El Camino de Santiago, a pilgrimage route across northern Spain. The father decides to complete the pilgrimage that his son started scattering his son’s ashes along the way. On the trek he meets others carrying burdens of their own. It’s a moving story and we loved it. One scene in the film particularly struck me. It’s the scene where Martin Sheen’s character pauses at the Cruz de Ferro, to place a stone of significance that he has been carrying with him. For many Catholic pilgrims, the stone represents sin or a burden they wish to be rid of, but for Sheen the stone is a symbol of his toil. As he lays the stone he prays the prayer that you see at the top of this post. Here’s the thing: The world is full of questioning wanderers like the father in the story. On the surface they appear perfectly normal, but on the inside there’s fear and insecurity because their lives are built on uncertainty. Who am I? Am I a good person? God, have I done enough? Am I acceptable? These questions rarely surface without a crisis but they are there and most people have them. I am profoundly moved when I hear words like these spoken by ordinary people. It’s one thing to hear a pulpit-thumping legalist rant about the need for good works; it’s an entirely different matter to hear a lost soul pray, “May my good deeds be judged favorably when the time comes.” My heart breaks when I hear prayers like this because the person praying does not know just how crazy much their Father loves them! His everlasting love is the only foundation that endures. It’s the bedrock that upholds us through all of life’s storms. Camilla can tell you that I sometimes get worked up at the movies. I have been known to leap out of my chair and yell the odd thing or two at the screen. Last night, when Martin Sheen prayed his little prayer, I wanted to jump into the movie and give him a big hug. I wanted to tell him that his heavenly Father loves and cares for him deeply and will never judge him for his works, good or bad. I wanted tell him that the meaning of life is not in walking The Way. Jesus is The Way. It’s not about your works but His finished work. God’s unconditional love and acceptance are already on the table – you just have to take it and say Thank you Papa! But since I couldn’t tell him I thought I would tell you. There, I just saved you a 500 mile hike. You can thank me later. The movie has two endings. The first ending takes place at the end of the Camino Santiago in a large Spanish cathedral. It’s a powerful scene full of religious imagery and emotion. For most pilgrims, this is where the trail ends. But for Sheen et al., there is a sense of “We’re not done yet.” So they travel on to the Spanish coast where they end their trek on a wild coastline. It’s a brilliant contrast. The first ending celebrates the work of man – the ornate church, the religious ceremonies – and ultimately leaves our trekkers unfulfilled. The second ending celebrates the work of God – the rolling waves, the raw power of creation – and leaves them and us with a sense of perspective. Our works are so laughably small in comparison to His, all you can do is smile. God is great, God is good, and He loves you. Thank you for that stunning review, and the glorious truth you gleaned from it – Lord willing, your words will resonate all around, touching all those wandering, wondering souls who want to know peace, but…so often words of truth, love, and peace are not spoken in the one place you would expect to hear them – within the four walls of a church building. Don’t know if I will have the opportunity to view this movie – must say that your powerful summation made me feel as if I really had seen it all. Thanks for the post…looking forward to the movie. Malaysia is certainly OFF the edge when it comes to movies getting here but I’m sure it will be worth the wait! 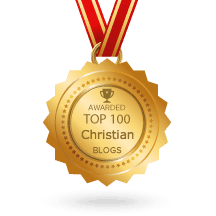 Hi Paul, I grew up in one of those legalistic churches that always make you question yourself. And so what is a good response to those people who like to point to Scriptures like Matthew 25 (about the sheep and the goats), and also John 5:29 and 2 Cor. 5:10, concerning the judgment? I know there is much more to this than what has always been taught. Do we say that our “good works” are just to believe in Him who finished the work? Because most of the time, they will try to make you feel guilty if you don’t “do” the things they do, and it never seems to be enough. I feel much more peaceful to think of it the way you describe it, but still battle the doubt much of the time. In my experience, no amount of scripture showing the finished work of the cross will convince those who choose not to see it. I wouldn’t even play that game. (I call it “scriptural snap” after the card game.) If the Apostle Paul could not convince such people, what hope do we have? Only the Holy Spirit can give that revelation. It seems the Bible has been deliberately written so that those who prefer to walk after the flesh can choose to do so and those that prefer to walk by faith after grace can also choose to do so. More on that here. For more on works of the flesh vs works of the spirit, check out the archives. Guilt is a great motivator but it is never from the Lord (Rom 8:1). So any time you identify a guilty thought, you might want to take it captive and make it bow the knee to King Jesus. He really has done it all. He really is the Author and FINISHER of our faith. Blessings on your head! Thank you very much! I read the article on rightly dividing the word and also some others. It helps so very much to finally be enlightened to the Truth! God bless your ministry, and please keep up the “good work”! I know you are setting many people free across the world. I saw the movie and just loved it. Watched it in the privacy of my living room on my Kindle. I ached for the Sheen character all the way through. The most significant part for me was the end because they all finished the trek together. Even though three of those in the group had all said that the cathedral was the end of the journey for them, they continued on until they had all finished together. I absolutely bawled. My deepest longing for fellowship with a body of believers that will walk all the way to finish rose to the surface and I just bawled. So many good points to this movie and experience to say. I’m glad you and Camilla got to see it. Hi, yes, The Way is a terrific movie. The bonus features on the DVD tell an amazing story of how the film crew were affected by making the film. Most had no faith and yet for them it was a deeply spiritual experience. They speak of many miracles along the way. Hi Paul, that was kind of the point of my post – the world is full of questioning wanderers carrying burdens, laying stones, and engaging in rituals. They don’t know about the unconditional love of God. I want to tell them.